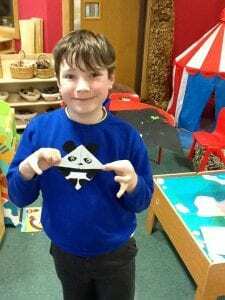 During our university session my group had a go at origami corner bookmarks. 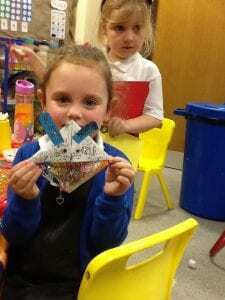 Once they had folded them correctly they decorated them. 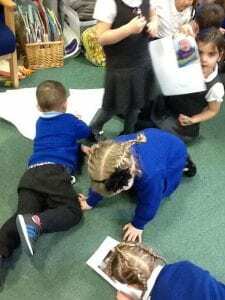 We had a panda, a unicorn, pokeball, bird, rabbit and even a pizza slice.. 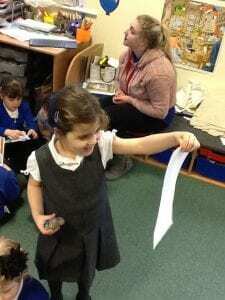 These slide over the corner of a page in a book! 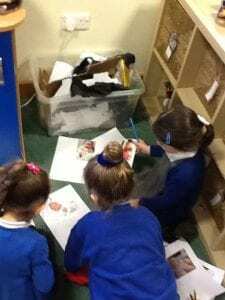 I wonder what we will create next week…. 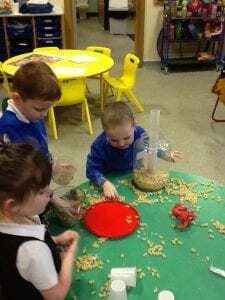 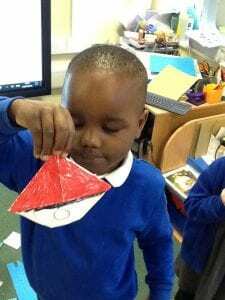 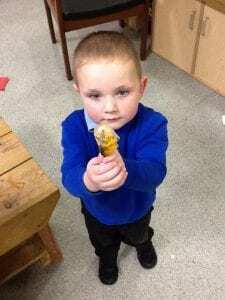 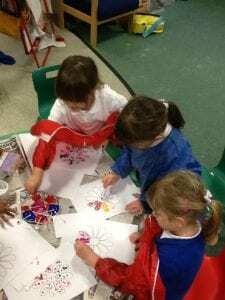 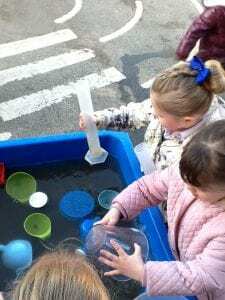 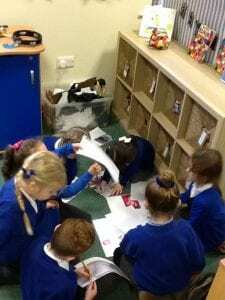 We have been learning about time in Reception. 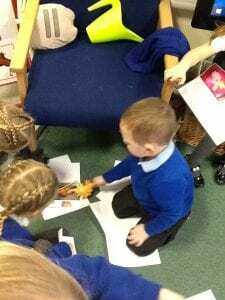 Today we discussed all the things we can do now that we couldn’t do when we were babies. 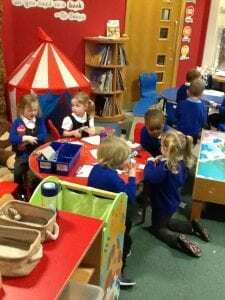 We also discussed how we grow up very slowly and learn new things every day as our brain grows too. 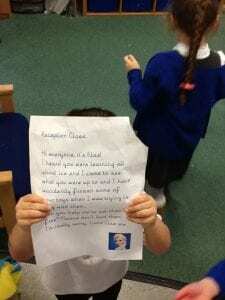 Some children brought in pictures of themselves as babies and we split into groups and played a game where we had to guess who the picture was of! 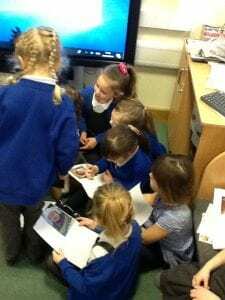 They loved seeing the photographs of themselves and each other and it was a really fun session that involved them working together. 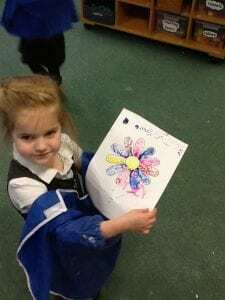 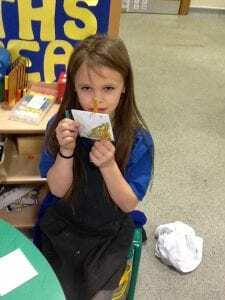 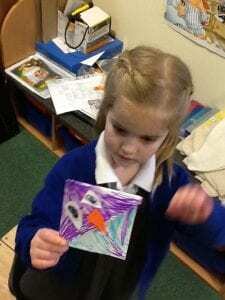 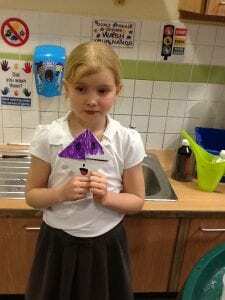 A few girls started making puppets today which lead to the whole class following their lead and either making a puppet or receiving a handmade ticket to the puppet show. 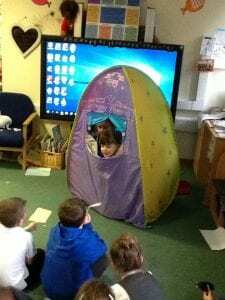 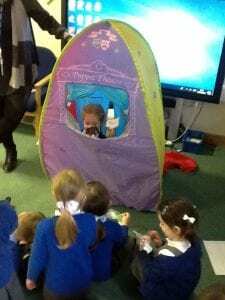 We borrowed a special tent from Year 1 and groups of children performed their story while the others watched and listened. 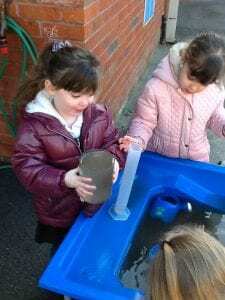 They loved it! 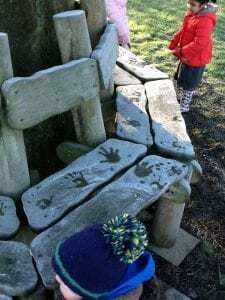 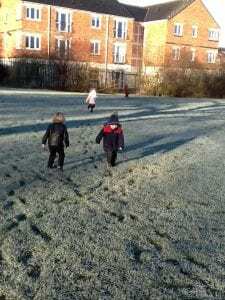 Today it was very cold and frosty so we went for a walk down to the field to investigate. 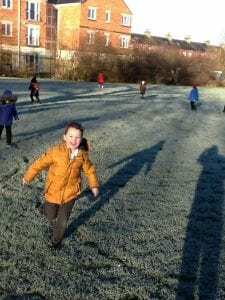 We noticed how our warm hands melted the frost and left handprints, how crunchy the grass sounded because it had frozen and it was cold enough to see our breath! 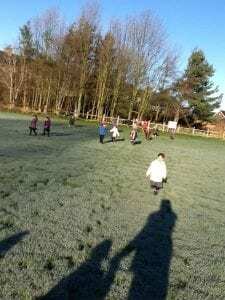 The children loved getting wrapped up in their winter clothes and seeing the field be a different colour to normal. 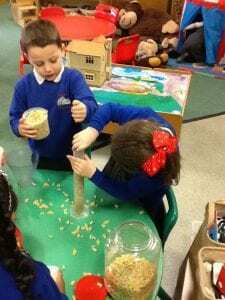 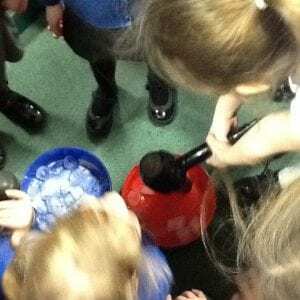 We have been learning about capacity and comparing how much we can fit in different containers. 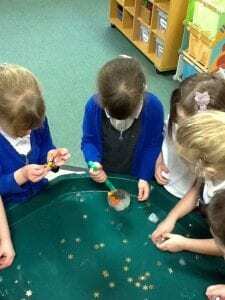 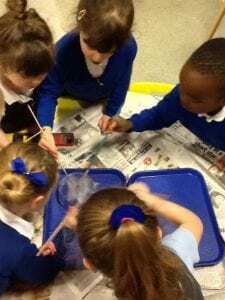 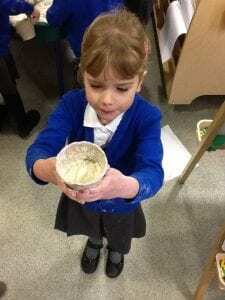 We have also been identifying which container has the most or the least in… We have used pasta, flour and water to experiment with! 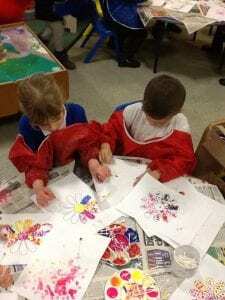 We have been learning about pointillism and experimenting with using the technique of dotting. 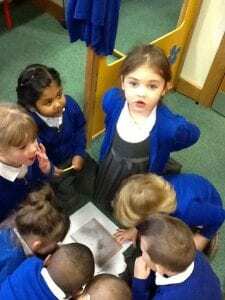 We looked at other examples of work inspired by George Seurat and had a go ourselves. 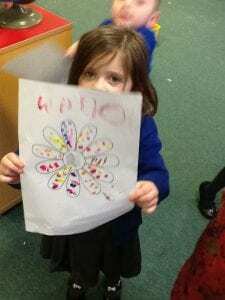 Some children discovered that you can also dot with your fingers!